Seriously where does time go? 1999 was such an epic year it feels like yesterday... 18 years down the road. Wow. Without sounding ancient we remember having this on VHS. It was the movie of a 'techno generation'. 2017 marks the eighteenth anniversary of 90s clubbing movie, Human Traffic.Starring John Sims and Danny Dyer, Human Traffic followed the lives and antics of a group of friends on their weekend big night out. It was a movie everyone of the time could relate to. From the frustrations of 9 to 5, pre-club drinks with friends and travelling miles and miles to the next party. The dialogue of 'politics', 'reality' and even Star Wars scenes may also ring a few bells. Scenes like the record store with character Koop was spot on. How many self-proclaimed 'vinyl-junkies' have had the same experience, walking into a store with wall to wall records and the staff who you've developed a cool bond with over your visits, pushes the 'must have' tune. Of course, with the hefty price tag to go with it. A movie about clubbing wouldn't be the same without an appearance from one of the world's top club spinners, and who better than techno veteran and all round great, Carl Cox, playing dodgy nightclub owner Pablo Hassan. The movie boasted an incredible soundtrack that features the likes of CJ Bolland, Quake, Armand Van Helden, Fatboy Slim, System F plus many more. To top that off, it was all compiled and mixed by the Essential Mix Radio 1 mogul, Pete Tong. Rumours are still going round of an Ibiza-based sequel following a Tweet from Danny Dyer, but would it be the same? Who knows. Times change, music changes. But the philosophy is still there. 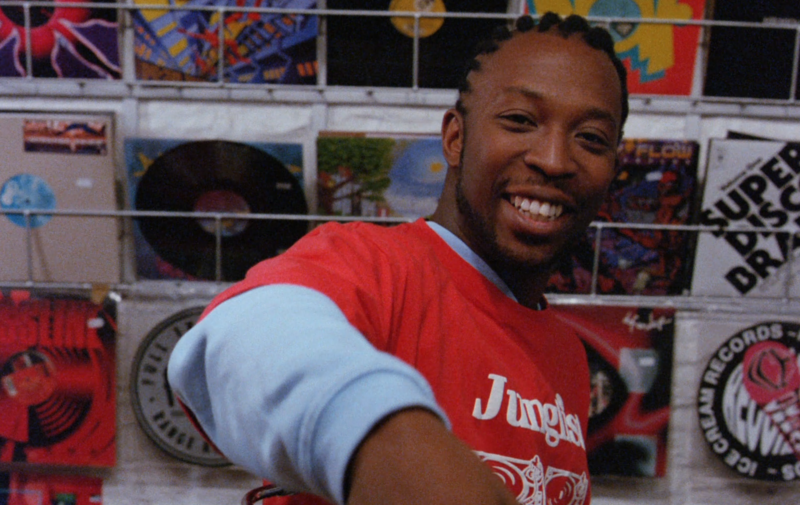 Human Traffic was without a doubt a cult movie of the 90s that still holds so much truth today. Clubbing is more than being intoxicated at the weekend. It is a tribal gathering of like minded souls, brought together by music and friendship sharing experiences. The history of club culture inequitably proves that it heals divisions, social, financial and racial, without sounding cliche having everyone party together to the same drum under the same roof. If you haven't seen the movie yet, purchase it here from the iTunes store.